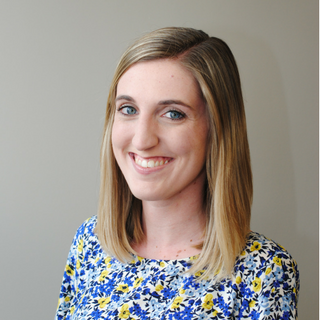 Molly Melia joined the Community Foundation of Louisville staff in July 2017 after having served as an intern in the Marketing and Communications department since June 2016. As the Marketing & Communications Associate, Molly assists with the Foundation’s brand presence, including all aspects of marketing, public relations, advertising, content creation and new media. Currently serving as a Louisville Youth Philanthropy Council facilitator, and having worked as a Big Sister with the Big Brothers Big Sisters of Kentuckiana, Molly finds it crucial to show people of all ages that philanthropy is achievable. She enjoys sharing the different stories of nonprofits around the community through her work as one of the project coordinators for Give For Good Louisville, and hopes this initiative will continue to inspire people of all different backgrounds that anyone can be a philanthropist. A Louisville native, Molly earned a B.A. in both English and Communication from Bellarmine University in May 2017. She continues to pursue her education at Bellarmine in the Master’s of Arts and Communication program where she focuses her research on online fundraising, and the assimilation rate of volunteers and employees in the nonprofit sector.